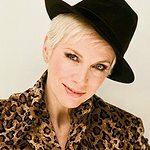 Annie Lennox will be among the guests at the Women for Women International May Gala in London next month, where she will be honored with a special Making A Difference Award. 400 guests – including celebrities such as Pamela Stephenson, Cherie Lunghi, Nadja Swarovski and Natalia Vodianova – will gather to celebrate five years in the UK of Women for Women, a charity helping traumatised women in areas of conflict to rebuild their lives. The Gala will open with a cocktail reception (sponsored by Iceberg Vodka), followed by a sit-down dinner catered by Rhubarb, live and silent auctions, concluding with music and entertainment. The Live auction and pledges will be conducted by Lord Dalmeny, Sotheby’s UK Deputy Chairman, and Karak Mayik – Women for Women International Country Director for Sudan – will attend to talk about the impact of the charities work. For the first time Women for Women International will be giving out Making a Difference Awards to supporters whose contribution and fundraising efforts have helped the charity support nearly 300,000 women in some of the most dangerous places in the world to be a woman. The Awards will be made to singer and human rights activist Annie Lennox, Mrs Joan Burstein CBE, Founder, on behalf of Browns, Lucy Yeoman, Editor on behalf of Harpers Bazaar and Todd Fisher, KKR Partner and Chief Administrative Officer. Women in areas of conflict are often abused, traumatised and lose their children, husbands, homes and their communities. Women for Women is a grassroots organisation helping women to rebuild their lives through a one year programme of counseling, training, education, rights awareness and business skills, so women can support themselves and their families and help with the rebuilding of their countries. The Gala is an opportunity to raise awareness of Women For Women’s work and badly needed funds, so it can support thousands more women in war-torn countries. The event takes place on May 5 at Banqueting House, Whitehall, London. More information can be found here.